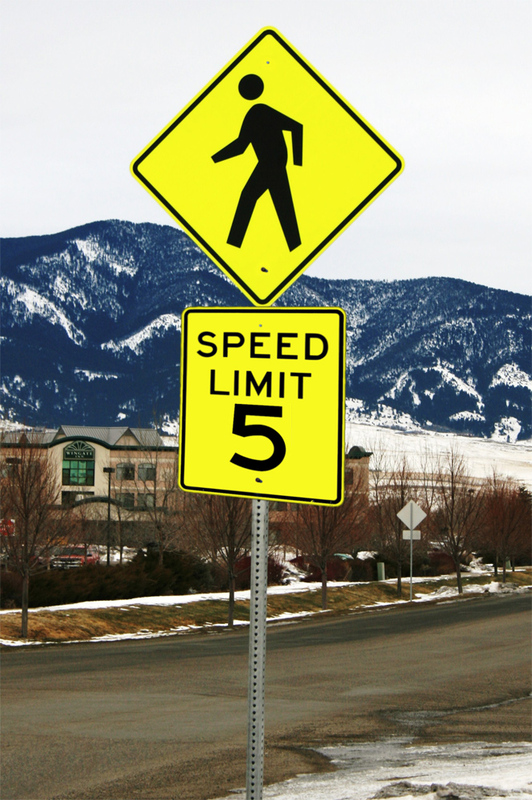 If government regulations are designed to protect us all and make us safer, why don't we have pedestrian speed limits? We should. And this blog entry is devoted to why. Clearly, motor vehicle regulation is very important. I drive a small truck and, if it weren't for helpful signs and police enforcement of speed limits, I would very likely be dead by now. See, there is nothing I enjoy more than driving in excess of 65 miles per hour in residential zones or on busy roads. Rather than assessing the driving conditions around me based on pedestrian traffic, vehicular traffic, weather conditions, and road conditions, I operate my vehicle solely based on the arbitrary number posted on a sign that applies to all times of day or night regardless of the actual conditions on the road. And this is just one of the many ways in which the government keeps me safe. Speed limit enforced for your safety! So why stop there? It's a known fact that we live in a dangerous country for pedestrians! According to the National Highway Traffic Safety Administration, there were 4,092 pedestrian deaths and 59,000 pedestrian injuries in 2009 alone (source). And yet there are minimal regulations on the treacherous sidewalks of America. While the enforcement of jaywalking ordinances have been helpful in preventing me from brazenly walking across the street whenever I might want to, what is to stop me from operating my shoes at unsafe speeds - likely causing collisions with other pedestrians, cyclists, vehicles, and stationary objects? Presently, nothing except my own senses and rational self-interest. But by living on this particular land mass of the North American continent, I unknowingly signed a social contract which obligates me to surrender reasonable freedom of movement in order to assure the collective safety of society. 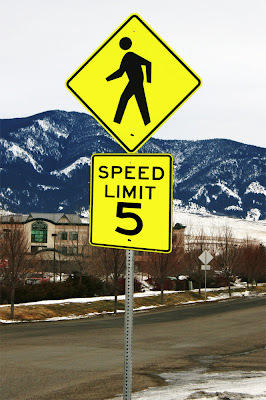 Therefore, I hereby put forward the modest proposal of capping all pedestrian traffic to 5 miles per hour (adjusted for inflation) - which includes everything up to and including a brisk walk. Running would not be covered and would require a fee-based permit, approved in advance, to ensure that multiple pedestrians are not running on the same block at the same time. This would not only ensure public safety but this licensing process would raise valuable revenue for the state. Such funds could go toward a "walk, don't run" program in public schools, which of course students would be heavily tested over to ensure no child is left running ahead. If this program is successful, perhaps a minimum speed of 3 miles per hour could also be enforced to further protect citizens from pedestrian accidents. But that might be too stringent, I'm just not sure. (Mothers Against Fast Walking) ... it's only a matter of time. And walking while intoxicated?! Forget about it.